Pitchfork Fest is just around the corner and there are now a few more aftershows that you can choose from. On July 13 Lower Dens, who play the fest that afternoon, will headline the Bottle with support from No Joy and Alan Resnic (tickets). Ty Segall, The Men, Mystic 100’s, and Zath will play the venue on July 14. Tickets for that one are currently sold out but maybe they’ll release a few more. Thee Oh Sees will close out the weekend with a show on Sunday (7/15) featuring support from The Blind Shake, Terrible Twos, and The Mallard (tickets). 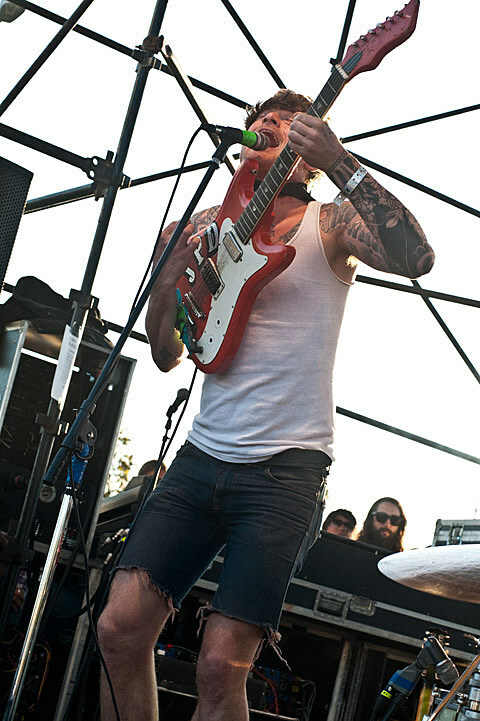 Thee Oh Sees are busy prepping their new album, Putrifiers II, for release on September 11 via In the Red. Download the album track “Lupine Dominus” at the top of this post. They’ll be touring with Ty Segall this fall, whose new album Slaughterhouse hits stores today (6/26) via In the Red. Stream the LP, which is credited to the Ty Segall Band, in its entirety via SPIN. As mentioned, Ty will also be taping a live episode of Sound Opinions at Lincoln Hall during his stay in Chicago. Have you RSVP‘d yet?